Develop your career to maximize your opportunity for success. The Philly SHRM Chapter is happy to announce that the HR Career Development series is back. Philly SHRM is sponsoring a free HR Career Development Series designed to provide valuable career information for current or aspiring HR professionals. Whether you are pursuing entry into the profession, are in transition or are looking to solidify your career objectives, this series will help you establish a definitive plan for entry and progression in the field relative to your interests and goals. This second session will cover an all-inclusive look at compensation strategies. Steve Gross, from Temple University, and Katherine Frazier from PwC will discuss compensation strategies from an internal HR perspective, as well as an outside consulting perspective. Get ready to learn all the ins and outs of compensation strategies and network with up-and-coming HR peers! Katherine Frazier is a Manager in PwC’s People & Organization Practice in Philadelphia. Katherine has compensation consulting experience in all areas of both executive and broad based compensation. Katherine has worked with not-for-profit and for-profit organizations across many industries, both in the US and globally. Katherine specializes in job harmonization and architecture design, focused on designing job catalogs that work effectively in Workday to optimize the use of the system. Her experiences include salary structure design, compensation risk assessment, competitive benchmarking, reasonable compensation analyses, director remuneration, total direct compensation custom surveys, compensation plan design, and IRC 280G calculations. Katherine assists clients in addressing issues related to incentive plan design, internal inequities in compensation, retention, and compensation pay mix. Katherine also has extensive experience in HR policy and compliance such as internal HR process reviews and modifications, as well as disclosure preparation/review. 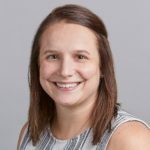 Katherine holds a Bachelor of Arts in Business and Economics from Ursinus College and a Masters in Human Resource Development from Drexel University. 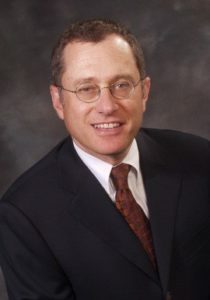 Steven E. Gross is a Compensation Advisor/Strategist with over 40 years of consulting experience in helping organizations develop transformational total rewards, short and long-term incentives and base salary design strategies that reinforce an organization’s employee value proposition and that drive results. Steve is an adjunct professor at the Fox School of Business at Temple University where he teaches a graduate course on reward systems and compensation management. He has also served as a member of the Productivity and Alternative Rewards Committee of WorldAtWork) and has been a faculty member at Penn State, WorldAtWork, the Society for Human Resource Management (SHRM) and the American Management Association (AMA). Prior to retiring in 2018 from Mercer (global HR consulting firm part of Marsh & McLennan) as a senior partner and global rewards practice leader, Steve was responsible for creating Mercer’s approach toward innovative human resources and compensation programs for all levels of employees. Prior to joining Mercer, Steve was Vice President and Managing Director of Hay Management Consultant’s Northeast Region Reward Practice and National Leader of the Workforce Variable Compensation Practice. Prior to that role, he was the General Manager of the Philadelphia Consulting Group and National Director of the Executive Compensation Consulting Practice. Before joining Hay, Steve was Vice President of the Executive Compensation Consulting Division of Sedgwick Noble Lowndes, a benefits and compensation consulting firm located in the Philadelphia area. Previously he worked for a major international public accounting firm as Consulting Manager. Steve is the author of Compensation for Teams: How to Design and Implement Team-Based Reward Programs, (AMACOM). He is frequently quoted, has appeared on CNN, CNBC, NPR and has published over 50 articles concerning compensation strategies, benefits and human resource issues and is often called upon to speak on these topics. 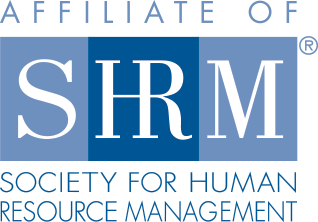 Please note, if you register as a Non-Philly SHRM member and then become a member we will not refund the difference. Please email us at, info@phillyshrm.org if you are interested in becoming a member.